As the entire motorcycle industry gears up for new safety norms that require all bikes above 125cc to be equipped with ABS as standard from April 2019, Royal Enfield is surely on their way to become one of the first Indian manufacturers to kit all their models with the essential safety net. In order to do that, they have kitted the entire Bullet range with disc brakes at both ends, bringing an end to the use of drum brakes for its current models. 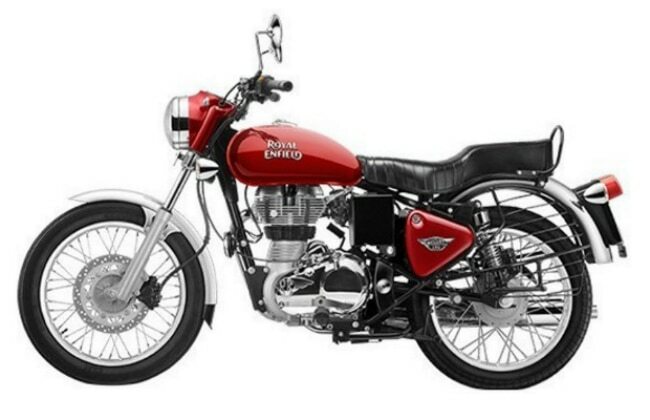 Even the Bullet 350, which was offered with drum brakes only, gets a twin disc setup and that has seen the pricing of the same model rise from Rs 1.16 lakh to Rs 1.28 lakh (both prices, ex-showroom India). The Bullet 350 ES and the Bullet 500 came with front disc brakes as standard and now the stopping power has been bolstered at the back as well with a rear disc. These bikes are now priced at Rs 1.32 lakh and Rs 1.73 lakh, respectively. These are marginal hikes of Rs 4,000-Rs 5,000 over the outgoing models. Apart from the addition of a rear disc brake, there are no mechanical changes to report of thus far regarding any of the three models. The Bullet 350 has been the longest, continuously produced motorcycle of the world ever, as Royal Enfield claims, and these key updates will help it extend its production run for a few more years. Gearing up for new safety norms also means that Royal Enfield will be making sure all of its models get dual channel ABS units before the deadline. This will help its cause as it has to contend with the new Jawa motorcycles which, sadly, only offer single channel units.